Located beside the Maitai river, The Tides Restaurant and Bar offers a delicious fine dinning experience for a special occasion, family outing or business entertaining. We offer both set menus and a la carte dining, with a variety of dishes available to please everyone. This includes seafood, and New Zealand beef, lamb and pork. For our younger diners we also have a special children's menu. We are available for group bookings, and also enjoy hosting special family occasions including wedding receptions. Gift vouchers are available if you feel like treating friends or loved ones to a memorable dinning experience. Please visit our page on the Trailways Hotel website to view our menus, then email or call to make a booking today. 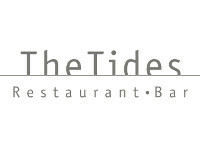 We are a multi-award winning restaurant, come enjoy a romantic dinner for two, family occasion, a wedding anniversary or a business function at The Tides Restaurant and Bar. Relax in our modern stylish bar and choose your preferred wine or beer, while enjoying the lovely Maitai river scenery.